I recently discovered a personal time capsule of sorts. An article I wrote many years ago suddenly resurfaced. And its reappearance has given me a chance to revisit a dark time in my life, and a dark time in the life of the GLBT community and in the life of the leather community. The rediscovery of the article has given me a chance to consider, in some ways, how far we have come and, in other ways, how little progress has been made, how far we have yet to go. Recently, 20 summers later, I was reminded of this article by a historical researcher who happened upon it during his research. The researcher thanked me for writing it. He also noted that the summer 1996 issue of PWAlive was the last issue printed, perhaps because the then-new drug cocktails had changed the landscape of the AIDS epidemic for the better. Since I wrote that, some things have changed. For starters, the community health issue that used to be referred to as “AIDS” (the medical syndrome) is now more commonly referred to as “HIV” (the virus that can lead to the syndrome). Another change since the summer of 1996 is that, thanks to continuing pharmaceutical research, many people infected with HIV are living longer and staying healthier, and that is cause for celebration. Another change: thanks to programs such as the Mr. Friendly campaign, the stigma surrounding HIV is nowhere near what it was in 1996. But some things haven’t changed. Twenty years later, I still have the black and white checked hanky sticking out of my back pocket because HIV is still out there. People are still being infected. Many people infected with HIV still don’t have access to adequate medical treatment. People are still dying from AIDS-related illnesses. 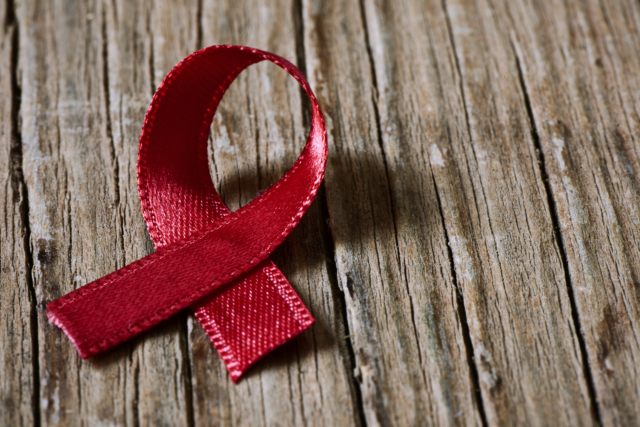 And while the stigma surrounding HIV has been reduced, it has not yet been eliminated. In 1996, I wrote that I believed a day would come when there would be both a cure and a vaccine. Twenty years later, that day has not yet come. Instead of a cure, the best we have been able to do so far is drug regimens that have changed HIV infection from a death sentence into a “manageable” medical condition. Twenty years later, instead of a vaccine we have PEP (post-exposure prophylaxis) and PrEP (pre-exposure prophylaxis). Both PEP and PrEP reduce the risk of being infected with HIV. But PrEP is much more expensive than a vaccine would be, and PrEP must be taken every day for years or decades to be effective. Those are my thoughts on the last paragraph of that article. In the rest of the article I said that I had tried to draw some lessons from the epidemic so that the adversity would at least be good for something. The lessons I learned from the epidemic included taking responsibility for myself and my actions and appreciating the present rather than spending time worrying about the future. Those were good lessons to learn, and I have spent the last 20 years trying to live by those lessons. I used to be into self-pity. When something bad happened to me I would whine to myself about how awful life was and how everything happened to me and I never got an even break. It took me about 35 years to realize that this really didn’t accomplish anything, and that I was much happier if, when something bad happened to me, I tried to see what I could learn from it. Then at least the adversity was good for something. Having identified myself as gay before the start of the AIDS epidemic, I have seen the continuing disaster from the beginning. As a leatherman I have seen the fabric of the leather community and many of its institutions torn apart by the epidemic. I have seen the incredible suffering and the continuing string of tragic, too-soon deaths. I have wondered why it was all happening. But it’s also been a profound learning experience. Here are a few of the things I’ve learned. I can only “fix” myself. Here’s where the Serenity Prayer’s “courage to change the things I can” comes in. If I am following old patterns or living in a manner that doesn’t promote inner peace and serenity, I can change and start living in a way that does. It may take courage, but the effort to change myself for the better will be repaid far more handsomely than effort spent trying to change someone else. We are more than our bodies. I never really understood the significance of the song from about twenty years ago whose chorus is “We are spirits in a material world.” Now I understand. Our bodies are a creation of, and a reflection of, our spirits. And spirits aren’t subject to infection with HIV. Things would be so much different if we were able to see past each other’s bodies and were able to appreciate the beauty and perfection of each other’s spirits. Everyone dies eventually. Everyone, whether infected with HIV or not, is precious and should be enjoyed, loved and appreciated, just as they are, today — because tomorrow they may not be here. Healing doesn’t always mean curing. Healing can take different forms. It may seem paradoxical to talk about someone with HIV being “healed” and dying anyway. But I’ve talked to at least a few PWAs who said their life had gotten off-track, and finding out they were positive served as a powerful inspiration to heal their life and make it work again. Their body may not have been healed, but they felt that their spirit had been. The more I live one day at a time in the present, the happier I am. I have many wonderful friends who are either positive or full-blown. I could spend my time living in the future, worrying about how much time they have left and wondering what I’ll do without them after they’re gone. How much nicer to appreciate that it’s today, and they’re still here, and I can still enjoy their company.